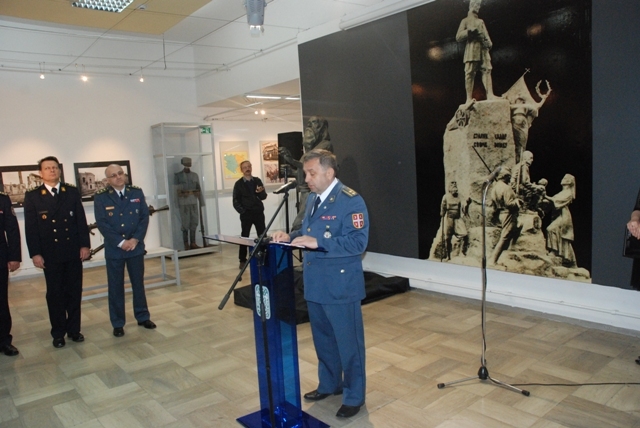 On May 9th 2017, the exhibition „The occupied Serbia from 1915 to 1918“, was opened in the Gallery of Military museum. 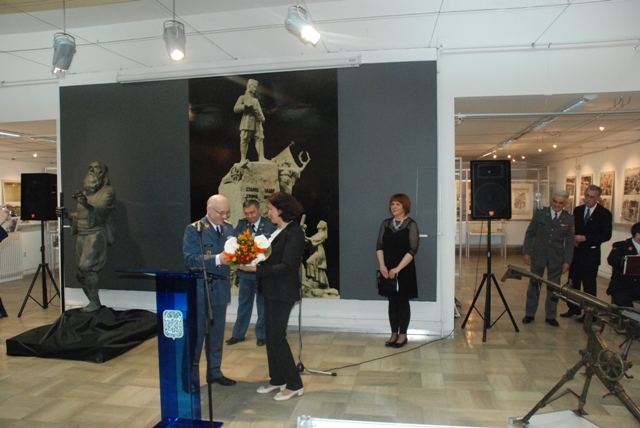 The author is the museum councilor, Andjelija Radovic. 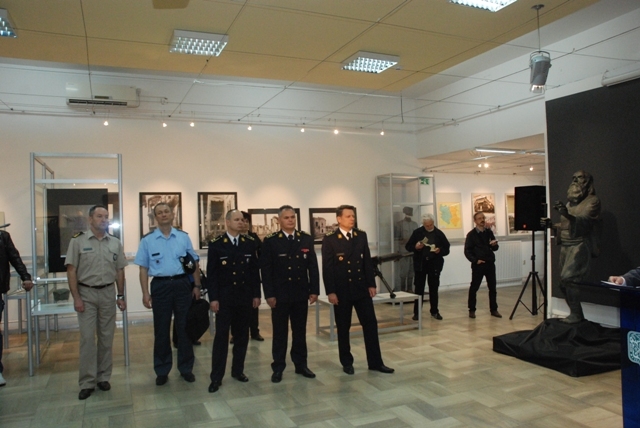 The exhibition was opened by the colonel Sladjan Ristic, the head of the Department for the tradition, standard and veterans. 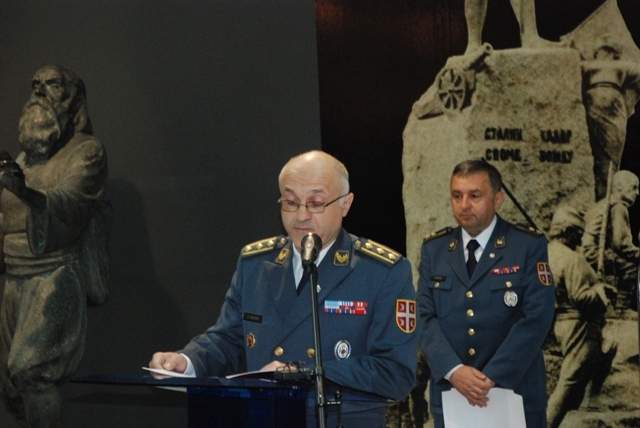 Noticeable number of guests participated the opening, both from the other organization units of the Ministry of Defence and Army of Serbia, and from civil, professional and cultural public circles. 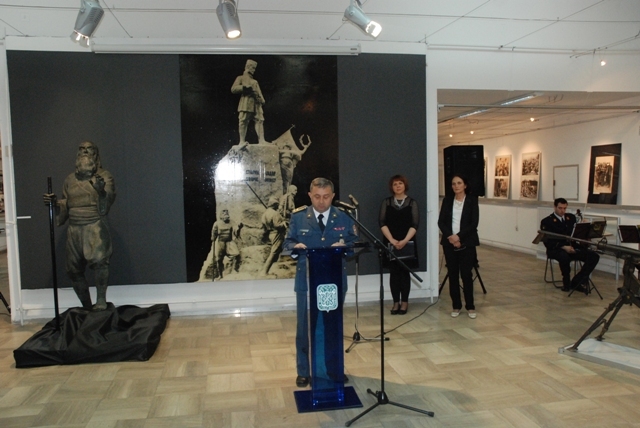 The exhibition was worthy of celebrating the Day of the Victory and the Day of the Army of Serbia, reminding of our Army's glorious martial past and hard people's destiny and distress. Beside the great number of photos, documents and exhibits that testify about the agony of Serbian civilians in occupied Serbia, as well as about the prisoners and people interned in camps throughout the Austro-Hungarian monarchy and Bulgaria, the part of preserved monument of the headman Karadjordje, ruined in 1916 is exposed, as well. 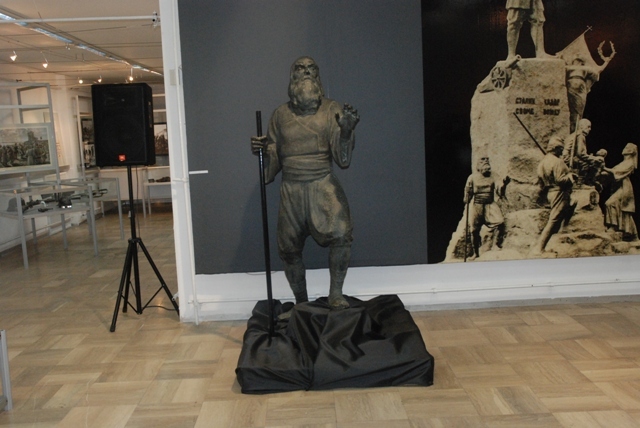 Instead of all plundered and devastated cultural object, „The blind player of the Serbian traditional onestring instrument“, work of art created by Pasko Vucetic, was pulled out from the darkness of oblivion.